Beautiful and functional, you need to know about these “highlighting” techniques. Proper lighting can do so much in enhancing the overall look of your garden. Not only are these functional features to light up the path in your outdoor space, but the right lighting also has its decorative purpose. You can highlight a certain part of your garden and make it the focal point in this section of your home. What’s more, it is possible to create visual effects and fascinating look that will exude the right ambience you want for your garden. 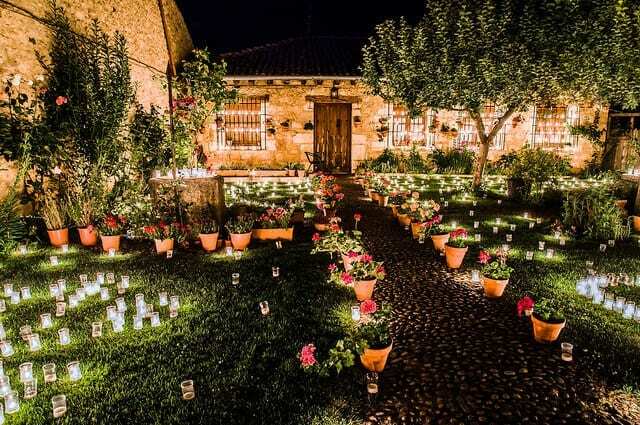 So, if you are hosting an outdoor party, a BBQ, a pool party or you simply want to relax in a place in your home that is a sight to behold, then knowing the best techniques to garden lighting should be a great thing for you to master. If you want to focus on a tree or a feature in your garden from the ground and all the way to the top part, then up-lighting is the best means to do it. This technique involves the use of low-voltage types of light fixtures that come with LED or halogen bulbs, which can light the subject you want to highlight and show off its trunk structure or the shape. To achieve this effect, simply place a fixture or two at the tree’s base, then allow these to point upwards to reveal the main trunk structure of the tree. However, you can also position the fixture about 8 to 10 feet farther from the trunk if your goal is to reveal the tree’s canopy and feature its leaves and branches. The most excellent thing to do is to use fixtures with convex lens since these allow irrigation water to run off the lens while ensuring the effects you want. Another outstanding lighting technique that you may want to try is silhouetting. This technique offers that dramatic look to the subject in your garden you wish to highlight such as the fountain, sculpture or plant material. In silhouetting, you need to place a spread light between the object and its adjacent structure to create that extraordinary effect. With this technique, the subject is silhouetted in a dark shade against a softer or whiter background. Basically, spread lights used are bi-pin types of halogen bulbs, and these may come with a mirrored background to achieve the desired effect. With these fixtures, you can achieve that band of enigmatic white light that works well for backlighting a structure, house or wall and obtain a silhouette outcome. Depending on the size of the wall that requires lighting, you may need several fixtures to achieve the stunning effect you prefer. A practical lighting technique, pathlighting mainly keeps the outdoor area safe for people to walk on at night. The idea here is to illumine any turns and obstacles that may block your path. You can also give the garden a romantic feel to it using pathlighting, plus it may offer a sense of adventure since walking along the path leads you to the area you wish to go to.